Steamed rice is the staple dish in the Korean diet, alongside rice combined with other grains. A bowl of rice can be eaten in many ways, sometimes even without side dishes. Steamed rice in cold water makes a nourishing kind of porridge. It can also be a filling snack with just a bit of seasoning such as soy sauce or red chili paste. A tradition of regarding the main staple dish much more highly than the side dishes continues to this day. The culinary custom of dividing a meal into the main rice dish and side dishes took on a clear class meaning during the Chosun Dynasty. 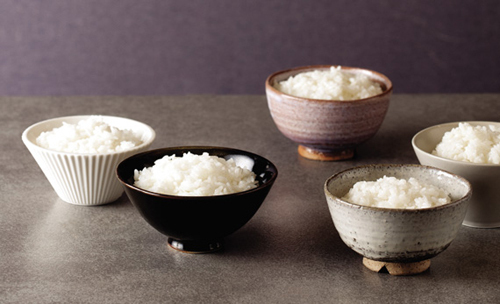 A bowl of white steamed rice is now the most basic staple rice dish in Korea, but it used to be a very expensive option for ordinary people as rice was precious and often more expensive than other grains that they mixed into the rice with to keep the cost down. For many of them, a bowl of white steamed rice was served only on special occasions such as birthdays or feast days. Today, nutritionists appreciate the goodness of steamed rice. It is nutritionally superior to wheat, the staple in the west. While both are a rich source of carbohydrates, rice also has good-quality protein that helps body to digest, and high levels of lysine, one of the essential amino acids that reduces cholesterol. It also contains Vitamins B6, D, E, and folic acid. Many people think of rice simply as a source of carbohydrates. But when digested in the body, the carbohydrates in rice turn into glucose and supply energy for the body and brain to function. 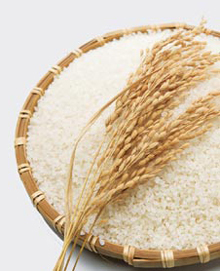 Rice has more protein and carbohydrates than wheat but 3.5 times less fat.